The base for an awesome meal! In keeping with the early fall theme I’ve had going on here, I’m still cranking out food that is inspired by my garden. I have mixed feelings on this as I LOVE me some fresh from the backyard food, but I also love me some fall and just cannot wait to get out my Dutch oven and get my braise on. But one of the things I’m working on in life is to just be in the season that I’m in and if my garden is going to keep the food coming, then I’m going to cook with it. Recently my son has developed a deep love for pesto. This makes me so proud as it was only a few years ago this kid had these feelings for dinosaur shaped chicken nuggets:) One evening as I was gathering basil to make up a batch of pesto (fresh really is the best and I have a great recipe for it HERE) I decided I wanted to try something a little different. Usually, I serve pesto over chicken and pasta but was feeling a little chicken bored. So I poked around in the freezer and came up with some sweet Italian sausages. A quick trip back to the garden produced a few cherry tomatoes that I decided to slice up and toss in. Serve pasta with cherry tomatoes, some freshly grated Parmesan cheese, a dash of pepper or just in a bowl! I don’t like to be super demanding on my recipes, but if there is any way at all to do so, make the pesto yourself. 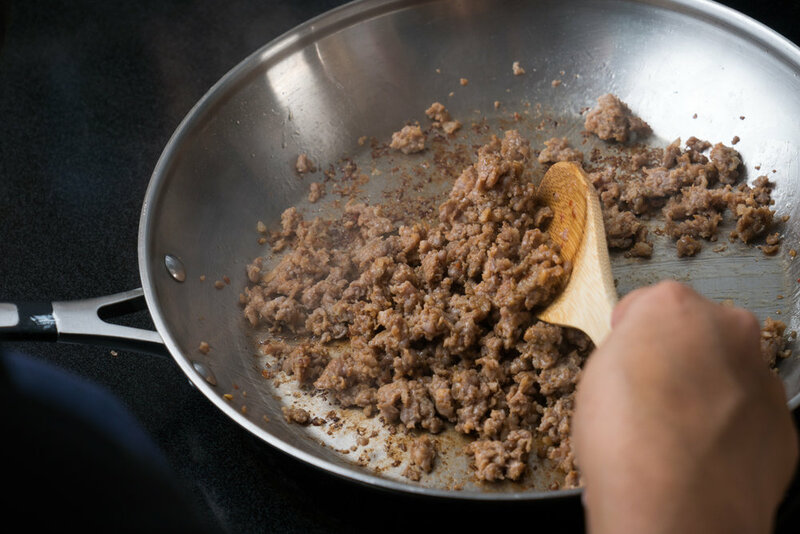 If you have a little food processor this can be done in under 10 minutes. 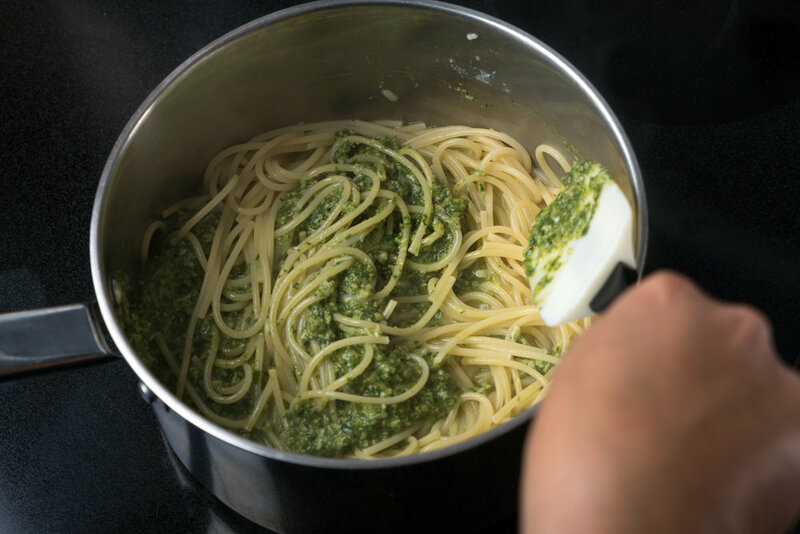 If you do not, then go find a friend or neighbor who will loan you one as the flavor of freshly made pesto is something all humans need in their lives at least once. But if it is a night where even using the bathroom takes planning, then a jar of your favorite good quality pesto will stand in just fine. I enjoyed the cherry tomatoes in this pasta, but they are not a necessity. I like the hint of sweet they give to the dish but I would not run out and get a whole container of them just for this.